The two people were searched and arrested on suspicion of going equipped for theft. Police arrested two people on suspicion of going equipped to steal from a commercial premises this morning. Patrolling officers spotted the occupants of a Vauxhall Meriva acting suspiciously at around 1.30am on Wateringpool Lane in Lostock Hall, say police. 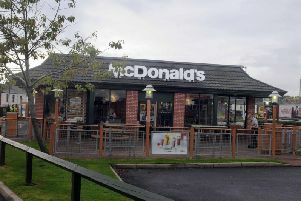 A spokesman for Lancashire police said the two people were searched and arrested on suspicion of going equipped for theft. Lancashire Road Police and the Police Dog Unit were used in the operation.